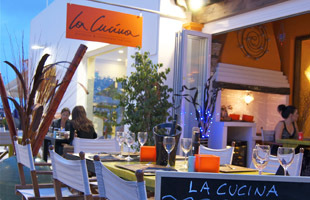 Santa Eulalia has a long-established reputation as the island's gastronomic and cultural centre. In the kitchen, our Roman chef prepares traditional Italian cuisine with a modern touch. All of our meals are made to order, using only fresh ingredients such as top-quality vegetables, fish, meats and cheeses (many of which are imported). Our pizza, bread, toasts and sandwiches all start with our delicious homemade dough. 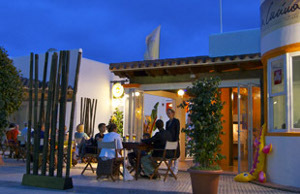 Our pasta, risotto and baked dishes are chosen and changed daily to demonstrate the various flavors of italian cuisine. Furthermore, our menu is full of italian coffee, wines and liquors to round out your dining experience. "A cozy environment with an excellent location..."